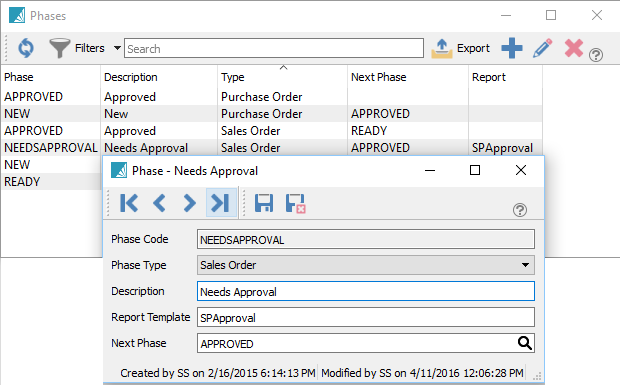 Phase Type – Select Sales Order, Production Order or Purchase Order. This phase will be only available within that module. Description – A description for the phase. Report Type – Enter a report template name for this phase. When the order moves into this phase all Crystal Reports with that template name will be presented to the user for printing. If no template is entered then the reports dialog will not come up. Next Phase – When the user selects ‘Next Phase’ from inside the order or from the order list the order will move to this phase.